Some of the high and lowlights of the Discovery Channel's and its affiliates' programming are science programs disguised as reality shows or disaster flicks. In the former category, the unparalleled Mythbusters definitely rules the coop. In the latter, a plethora of end-of-the-world scenarios have been explored to various degrees. Take for instance Discovery sibling The History Channel's Life After People, on its way to the small screen in a few weeks which, judging from the billboards plastered around Los Angeles, looks pretty damn fascinating. 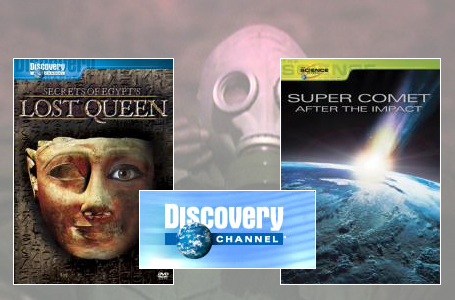 To a degree less fascinating and recently released on DVD are two programs that should appeal to fans of apocalyptic-themed entertainment and Cold Case-style crime shows: Super Comet: After the Impact and Secrets of Egypt's Lost Queen. Could humans suffer the same fate as the dinosaurs? Super Comet poses the question as to what would happen if a large comet collided with the Earth. Don't kid yourself; this is more disaster TV-movie than scientific study. 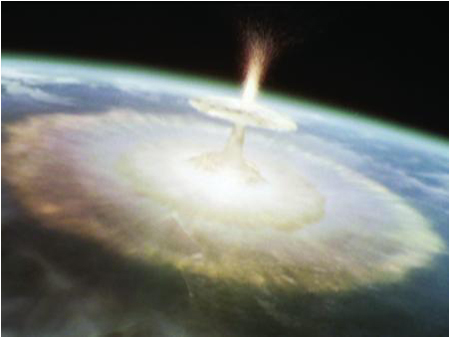 But, considering that such an apocalyptic event is largely believed to be what wiped dinosaurs from the face of the planet, it's a pretty interesting topic to explore. The problem with the Discovery Channel's "documentary" is that its just not done very well here. The film follows several characters around the world as they prepare for and deal with the comet's impact, including a young man searching for his family in Yucatan, Mexico (near the comet's impact), a family in Paris, and two scientists in Hawaii. A plethora of bad actors portray these characters trying to survive the ash, tsunamis, heat, fire, and eventual ice age that plummet much of the Earth into a catastrophic living hell. Intermingled with the film's C-list actors are what I presume are real-life scientists playing, well, real-life scientists. One of them in particular has an eye twitch that makes him an especially enticing character. While some of the special effects are done well, you are left wishing this was more Time of the Wolf and less Armageddon. 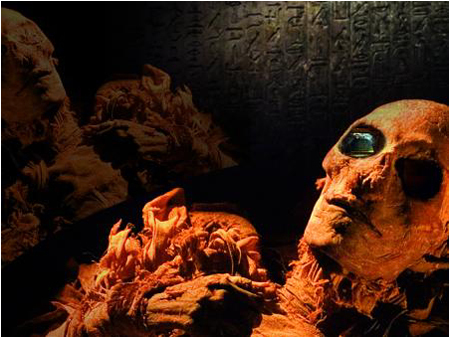 The "anonymous remains" of Queen Hatshepsut. Of the two films, Lost Queen is far superior. As I already mentioned, this is a prime-time TV drama-style affair, focusing on "ancient Egypt's greatest unsolved mystery," the missing Queen Hatshepsut. As the story goes, Hatshepsut was one of the most powerful pharaohs of Egypt, far more formidable than the better known queens Cleopatra or Nefertit, but died a mysterious death. Adding to the intrigue, almost every sign of Hatshepsut's existence methodically erased over time. In an attempt to unravel this ancient mystery, a charismatic Egyptian archaeologist, who appears to be lifted straight from the Indiana Jones franchise, is joined by an international team to locate and identify Hatshepsut's mummy. The film employs occasional flashback recreations to tell her backstory, which turns out to have been rife with more drama than a Mexican soap opera. While the computer-generated montages and flashback sequences serve to spice things up for those viewers less scientifically inclined, Lost Queen's producers do a good job of sticking with the researchers and their quest to unravel the mystery, which takes them both deep inside the ancient tombs and on the sandy surface of Egypt's storied Valley of the Kings with a massive CAT-scan machine. So why not make science entertaining? There's nothing wrong with a little glitz and gloss to convey technical concepts in lay terms, so long as such icing is applied by filmmakers with talent to do the job right. After all, this is television, not a classroom, and no one's going to sit through a 90-minute lecture on his or her screen. As to whether specials like these are inspired by or inspiring Hollywood's coffers, that remains to be seen.